Fabulous fashion spirit, hilarious sayings, mad and brilliant escapades … Carrie, Charlotte, Samantha and Miranda rock it again! SATC 2 – the vogue fairy tale – get inspired – watch it and have a great time – it’s and experience – it’s a must see! 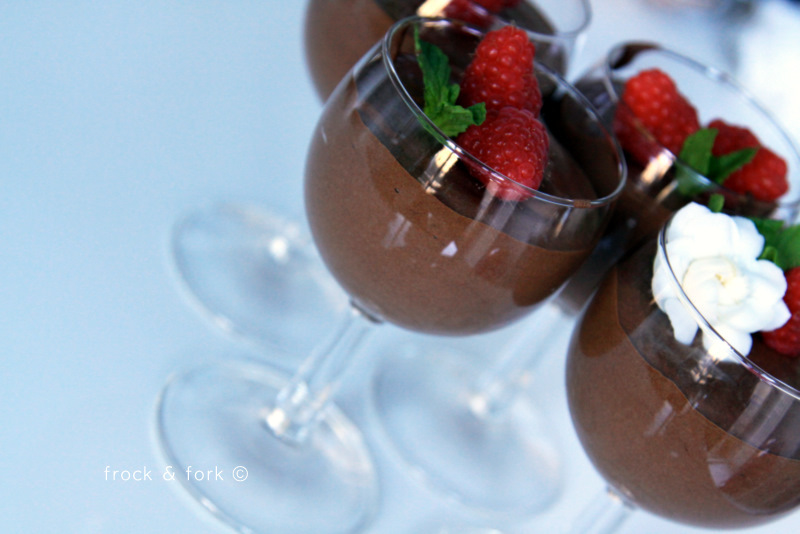 You will savour every bite of this delicious dark chocolate mousse! It’s heavenly. It’s positively finger-licking good. It’s absolutely chocolicious. Place the broken up chocolate and milk in a metal or heatproof bowl over a pan of simmering water. Melt the chocolate, stir until combined and smooth, remove from the heat, cool slightly. In a second bowl whisk the egg yolks and sugar until thick and creamy. Then whisk in the chocolate mixture. In another bowl whip the cream until stiff. Gently fold into the chocolate mixture until combined, do not over mix. 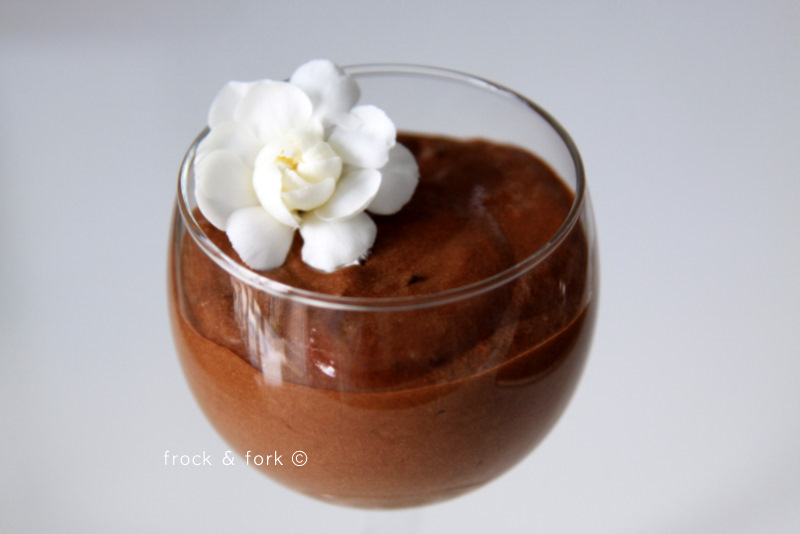 In a separate bowl whisk the egg whites with a pinch of salt until stiff, and gently fold into the chocolate mixture. Spoon into individual dishes but refrigerate for at least 2 hours before serving. 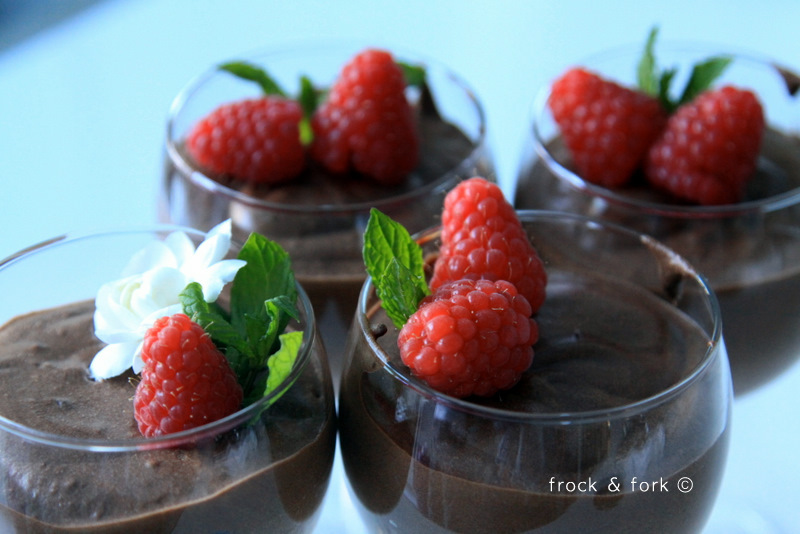 Decorate with grated chocolate or fresh raspberries and mint leaves. The V&A is one of my favorite museums in London. I missed it so much and was happy to visit it again last week during my short trip to London. I had the chance to see an amazing exposition devoted to the never forgotten and always admired beautiful and elegant Grace Kelly. If you are interested in timeless style icons, fabulous vintage dresses (50s-70s), Hitchcock films, classic looks and incredibly voguish dress senses – please head off to the V&A and see the “Grace Kelly – Style Icon” exhibit that runs till September 26, 2010. The Kelly bag is there! Her countless Dior sunglasses are there! Her Yves Saint Laurent “Mondrian” dress and her black frock from the ‘Rear Window’ film are there! Her stunning emerald green Givenchy dress is there along many many other incredible masterpiece dresses. I have always loved berry smoothies but since the beginning of this week I’ve developed some sort of a mango smoothie-mania. I found out that MANGO blends perfectly with yogurts (plain or vanilla). Try it and you will end up with a superb, smooth and delicate pulp … that feels like a soft cloud in your mouth …. Add a bit of muesli and whirl it all for a thick drinkable breakfast. 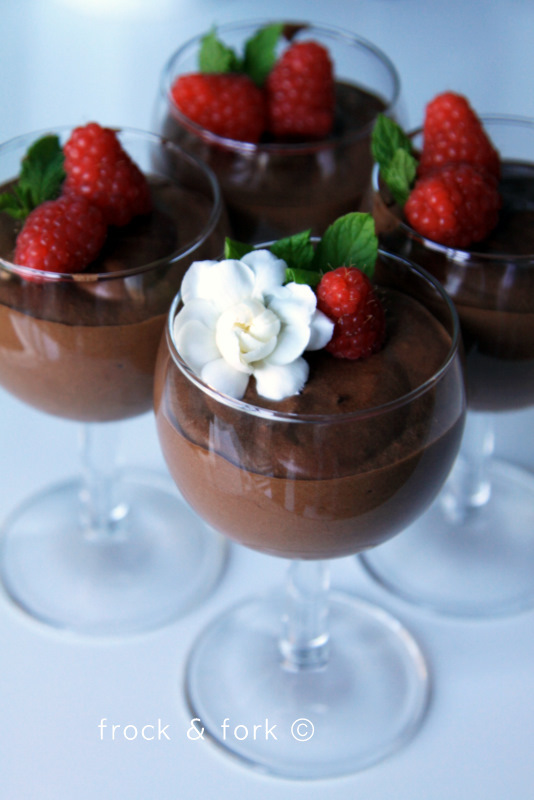 Add a bit of crunchy cereals and enjoy a healthy dessert. Add a bit of honey and a few drops of lemon and simply drink it on its own. 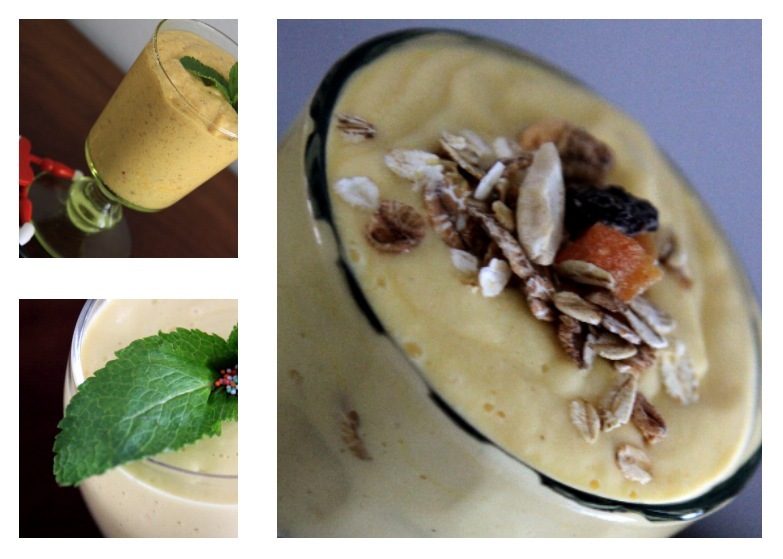 These mango smoothies are super healthy: no additional sugar, no full fat milk or full yogurt, no ice-creams added! My next smoothie adventure? I’m thinking: green and soy milk. 1 peeled roughly cut mango, 250 ml plain low fat yogurt, 5 tbsp thick vanilla yogurt such as Danio, 4 tbsp muesli such as Dorset – mix it all up in a blender, pour into a glass or a bowl and gobble up! 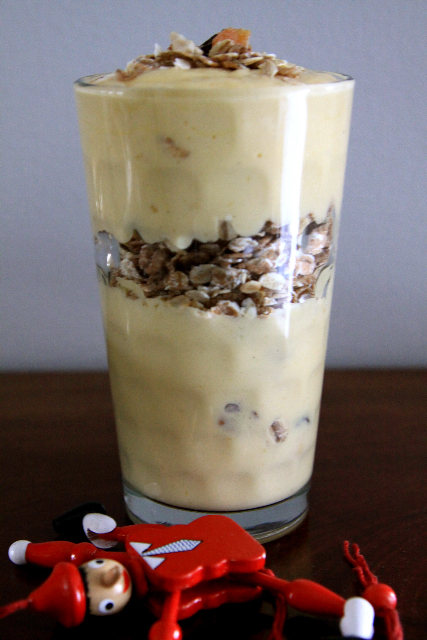 1 peeled roughly cut mango, 250 ml plain low fat yogurt, 3 tbsp thick vanilla yogurt such as Danio, 1 tsp lemon juice, 3 tbsp muesli such as Dorset – mix it all (excluding muesli) up in a blender, pour 3/4 of the mixture into a glass or a bowl and add 2 tbsp of muesli, pour the remaining smoothie and finish with the last tablespoon of muesli. Enjoy it! 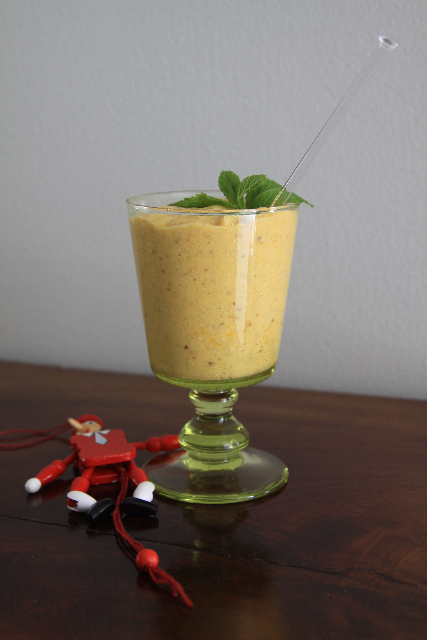 1 peeled roughly cut mango, 250 ml plain low fat yogurt, 2 tbsp thick vanilla yogurt such as Danio, 1 tsp lemon juice, 1 heaped tsp honey – blend it all very well and pour into a glass. It’s heavenly good! PS: You can easily change the proportions – do it just the way you like it – you can’t get it wrong! Yesterday I had dinner in a very cool place called MOMO. MOMO is attached to the busy and fancy Park Hotel in Amsterdam. The food was fine, the company great but what really caught my attention was a selection of fabulous photographs by the artist: Flore Zoé in the Gallery Zone. The pictures inspired me enormously and I would love to recreate a similar fashion photo shoot one day. Zoé’s pictures are full of emotions, meanings, interpretations and concepts. She uses fabulous contrasts of colors, textures, forms and takes her viewers to an amazing world of storytelling. 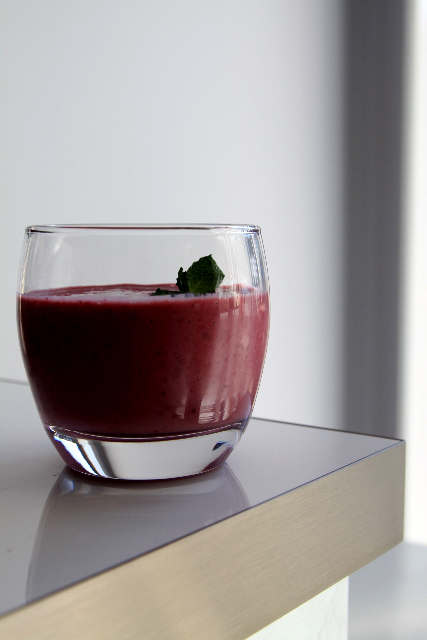 No need to follow any specific recipe; just blend some of your favourite frozen berries, yogurt, banana and a bit of honey. 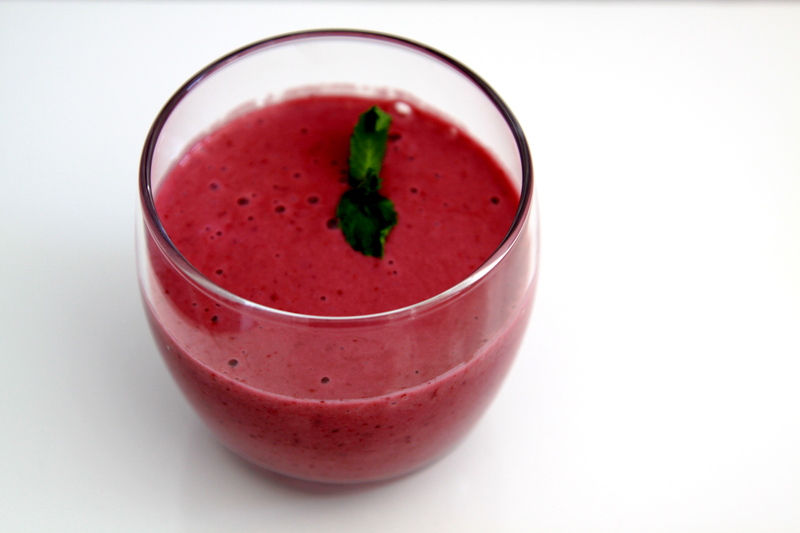 Enjoy this energy boosting drink! 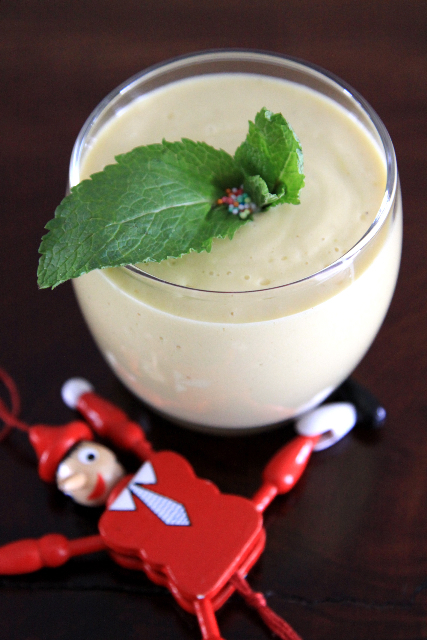 All you need to do is to mix and whirl all ingredients (except mint leaves) in a blender until smooth. Pour the liquid into four glasses and garnish with fresh mint leaves. It’s a great recipe and a great refreshing drink! I’m sure you will love it. 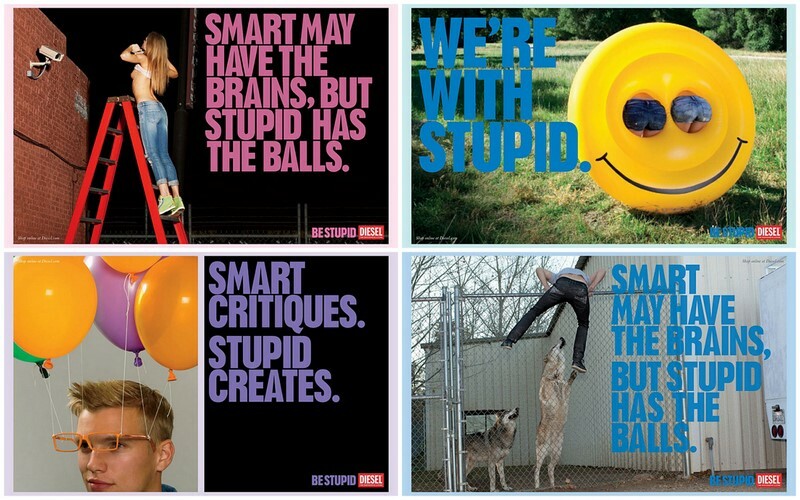 You – Be the Judge! You – Check it out! PS: I love it !!!!!! PS: Let me know what you think ….